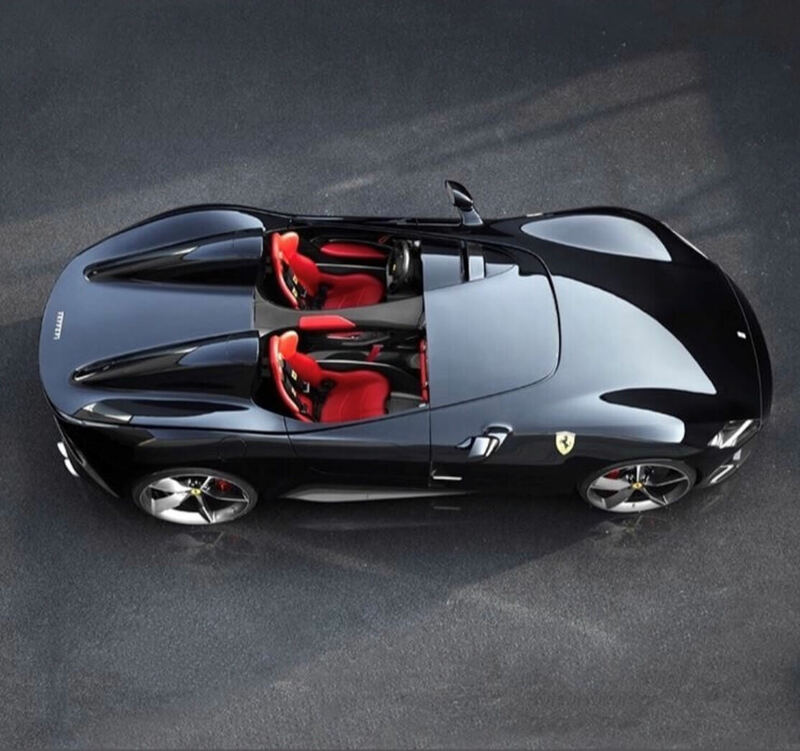 The Ferrari Monza SP1 and SP2 are the forerunners in a new concept, known as ‘Icona’ (Icon), that taps into a leitmotif of the most evocative cars in the company’s history to create a new segment of special limited series cars for clients and collectors. The intention is to use a modern aesthetic to reinterpret a timeless style, with technologically advanced components and the highest performance possible through continuous innovation. Barchettas were similar to spiders in form (two seaters), but had no roof or weather equipment. Instead of a full windscreen, they were equipped with just a small screen (single or wrap-around) and a removable tonneau cover over the passenger side. The Monza SP1 and SP2 are similar in concept, although the main difference is that they can be ordered either as a single-seater or as a two-seater. The result is a car that seems sculpted by the wind. It is the purity of the styling elements that impresses – an aesthetic that is futuristic but, at the same time, a respectful yet un-nostalgic homage to the past. Enzo Ferrari used to say that ”If there is such a thing as a soul, engines have one”. This model’s soul is, as is true of all Ferraris, in its engine. The Ferrari Monza SP1 and SP2 are equipped with the most powerful naturally-aspirated V12 ever produced by Ferrari. 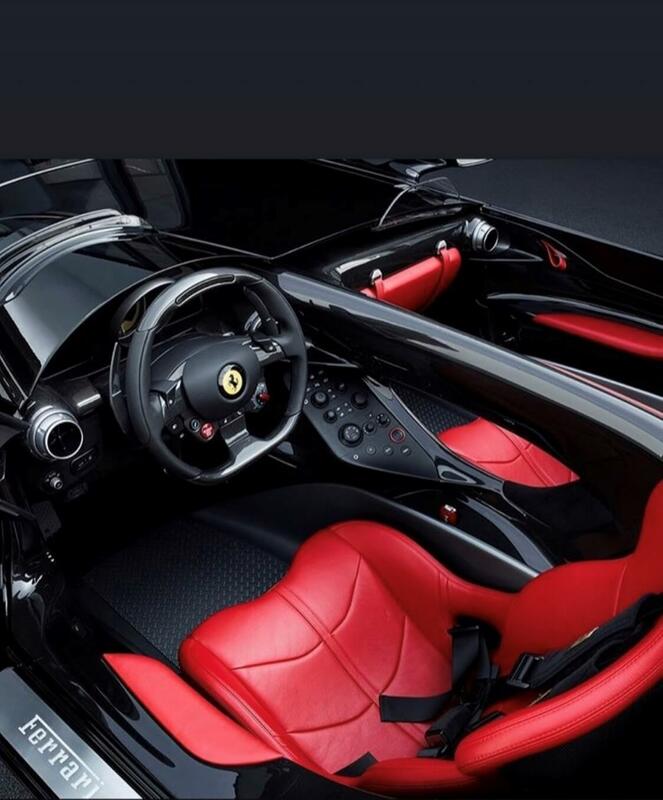 Thanks to specific areas of development, the power of the 812 Superfast’s 6.5 litre has been increased by 10 cv to 810 cv at 8500 rpm with a slight increase in torque to 719 Nm at 7000 rpm. Just like on racing cars, extensive use of carbon-fibre has been made throughout the construction of the Monza SP1 and SP2 to make them light and responsive and to enhance their sporty, aggressive visual appeal. The engine in the Ferrari Monza SP1 and SP2 is derived directly from that of the 812 Superfast, with optimised fluid-dynamics in the intake ducts to deliver even higher performance. The V12, which was recognized as the best engine over 4 litres and the Best New Engine at the 2018 International Engine of the Year Awards, brought in a number of innovative solutions. Amongst these is a 350 bar direct injection system for the very first time on a high-performance petrol engine paired with variable geometry intake tracts conceptually derived from those of naturally-aspirated F1 engines. The high pressure injection system results in improved nebulisation of the injected fuel which drastically reduces the amount of particulate emitted during the catalyser warm-up stage, ensuring it complies with specific emissions legislation. Particular attention was also paid to calibrating the performance strategies to enhance the engine’s potential and the sensation of extreme power delivered by the car while ensuring the driver can easily dose the massive torque available, thanks to smooth, progressive power delivery at all engine speeds. The dual-clutch transmission’s gear shifting strategies also enhance the cars’ sportiness. 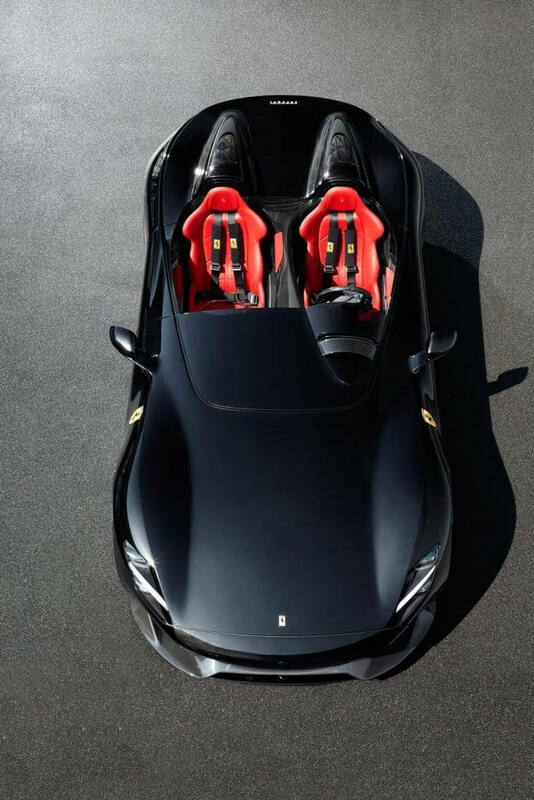 In the sportier Manettino positions, both up and down shift times are inherited from the 812 Superfast which has a faster, more pronounced shift for a more exhilarating driving experience. Thanks to the uncompromising open configuration, the V12 sound is even more all-enveloping. The more noticeable intake sound is captivating and absolutely unmistakable. The driver feels completely immersed in an incomparable experience that only a car brimming with Ferrari DNA could deliver.